Last month I was incredibly lucky to visit Stratford-Upon-Avon and see David Tennant play Richard II in the play of the same name at the Royal Shakespeare Theatre. I’d been offered the ticket by someone on twitter but couldn’t attend as there was no way for me to get back to London afterwards and hotel costs made the trip too expensive. Then by some random coincidence my friend Matt also ended up with a ticket and very kindly volunteered (well, actually he was coerced) to be my chauffeur for the evening. A few clicks later and my train ticket was booked along with a bargain of a stay in a 4-star Mercure hotel in Milton Keynes (about an hours drive away). I’m not a huge fan of Shakespeare but I loved seeing DT in Much Ado About Nothing and also the theatre in the forest production of The Taming of the Shrew I saw recently however both were comedies and Richard II is definitely not. I had already been to see the play earlier in the week at the cinema when it was broadcast live from the RST which really helped me to understand the story and made my second viewing at the theatre itself much more enjoyable. The set is absolutely stunning and the way they project details onto chains to create the different locations really amazing. I was incredibly fortuitous to have a front row seat where I was so close to the action that my knees actually touched the stage. It was so much more immersive and emotional than I ever thought possible. 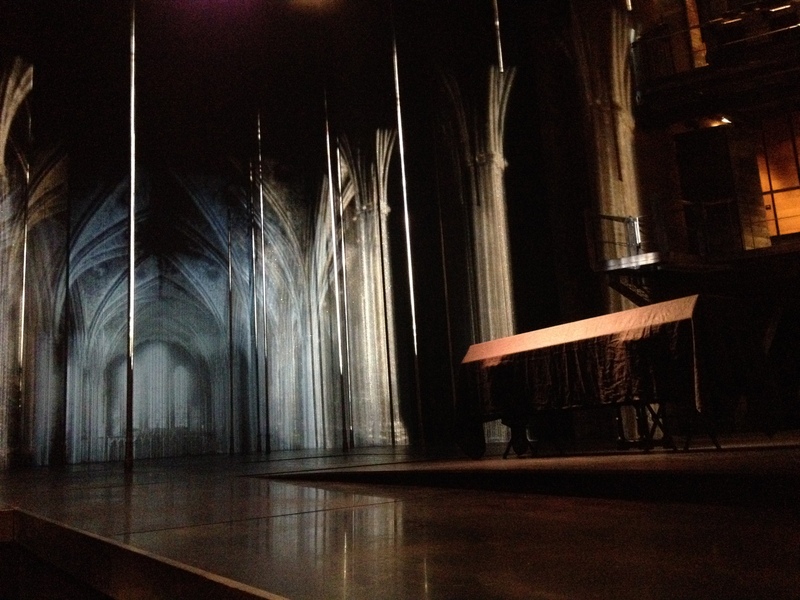 It was also the last night of the Stratford-Upon-Avon run which made it extra special and a bouquet of roses was thrown on to the stage for Tennant which he then presented to the great Jane Lapotaire (who has only just made a return to the stage specifically for Richard II after a thirteen year break due to a brain haemorrhage). Last night saw the first performance of its run at the Barbican theatre here in London and while I would love to see it again it is currently sold out. A very limited number of day seats at £10 will be available to purchased from 10.30am on the day of each performance (except 12 Dec). Day seats are available in person only from the Barbican Box Office and are limited to one ticket per person.